La Mamounia in Marrakesh, Morocco. Ranked #40 in our countdown of the 100 Best Hotels and Resorts in the World. It’s no more than a stone’s throw from Marrakesh’s chaotic Jemaa el Fna Square, but La Mamounia is having none of that madness. This is a heritage oasis standing serenely at the heart of legendary royal gardens. 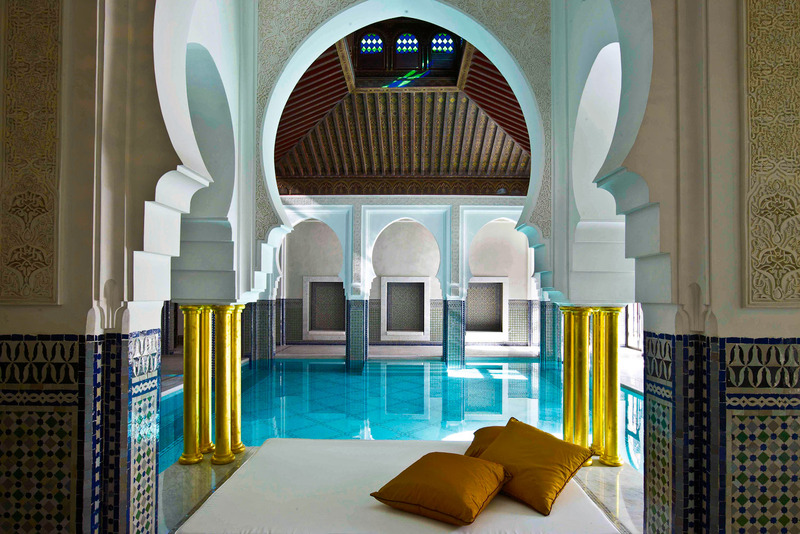 Interiors glide seamlessly from Moorish-style – arched doorways, vaulted ceilings, zellij tiling and intricately carved marble – to cosmopolitan glamour. Moroccan, French and Italian fine dining, poolside breakfasts, even a garden house for ice-cream and mint tea in the heat of the day. Service? Your wish is their command. Did you know There is a cocktail for each decade of the hotel’s 90 years, inspired by a past celebrity guest. The Yves Saint Laurent is pretty spesh. Photographic portfolio of an epic Caribbean cruise and much more!